1. 6.7 million people blog on blogging sites and 12 million people blog via social networks. 2. 23 % of Internet time is spent on blogs and social networks. 3. Bloggers between the ages of 21 and 35 dominate blogging, totaling more than 53%. 4. There are more than 80 known languages utilized in the blogosphere. 5. 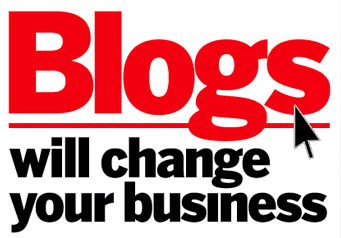 Blogs can assist you with the effective promotion of a service or product. 6. More than 60% of U.S. online consumers say they’ve made a purchase as a direct result of reading a blogger’s recommendation. 7. Blogs are the most valuable type of content, according to more than ⅓rd of today’s marketers. 8. B2B marketers who blog gain a 67% increase in lead generation over their peers that don’t. 9. Writing anywhere from 21 – 54 posts can significantly boost traffic to your blog by 30%. 10. Websites with Blogs have 434% more indexed pages (helps search engines & SEO efforts) and 97 % more inbound links. 11. Creating, optimizing, and promoting content is keys to filling the top of your sales and marketing funnel with more website traffic and leads. 12. Blogs can speak for your brand. 13. Blog posts that were shared on Twitter and Facebook got 149% more inbound links than those not shared on social media at all. 14. Blogs can give you credibility and authority. 15. According to 78% of chief marketing officers, custom content will be the champion of marketing tactics in the future. 16. Images in articles tend to boost the number of views by 94%. 17. Blogs are used by upwards of 30% of B2B companies that embrace social media. 18. Blogs are 63% more likely to influence purchase decisions than magazines. 19. An updated blog is a sign of a business that cares about their community. 65% of daily internet users read blogs. It could be YOUR blog if you make it easy for them to find it.